The Clinton-Kaine campaign has made its way to Norfolk were they held a public event today to discuss key matters on their agenda. The event was hosted by Old Dominion University on the lawns of the Rollins Hall facility. A crowd of people from all over the Hampton Roads area came in show of support. This is Kaine’s first appearance in the Hampton Roads area since he became Clinton’s running mate in July. Before Senator Kaine spoke, there were several other dignitaries that spoke, including ODU President John Broderick, Congressman Bobby Scott, and Secretary of Education Anne Holton. 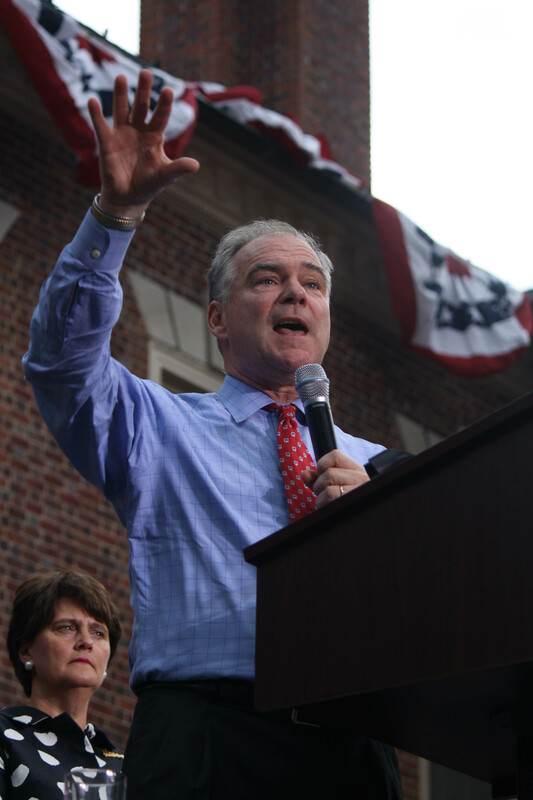 Once Kaine arrived on stage, he quickly dove into college education and employment opportunities post college education. “What’s happened is state budgets have been cut, so states have not been able to put as much money into colleges. If that happens, then colleges–as they look at tuitions–tuitions have to be higher and so students graduate with that and that debt can be a real challenge. We now have more student loan debt in the country than credit card debt,” Kaine said. He also spoke upon the change in the swing state of Virginia, where Kaine also served as governor, and how the current generation has the power to change the outcome of the election. “Its been this generation of Virginians that has worked us in right into the spotlight: battleground state. Everybody around the nation takes a look at us to see what were doing. We’re back on center stage with the spotlight on us!” Kaine told the crowd. Senator Kaine’s speech to the crowd today indicated that he intends on delivering Virginia to Hillary Clinton in the upcoming presidential election. Today was his first direct attempt at that in the key metropolitan area of Hampton Roads. Watch our key take-away from the rally below. For more videos from the rally, visit https://twitter.com/Spartan_Echo. Tags: campaign, Clinton-Kaine, democrat, election, Presidential election, Tim Kaine, vice president, Virginia, vote, voting. Bookmark the permalink.